i’m pretty sure there are members of this forum as well as me that have to take a barrage of drugs in order to have a comfortable life. 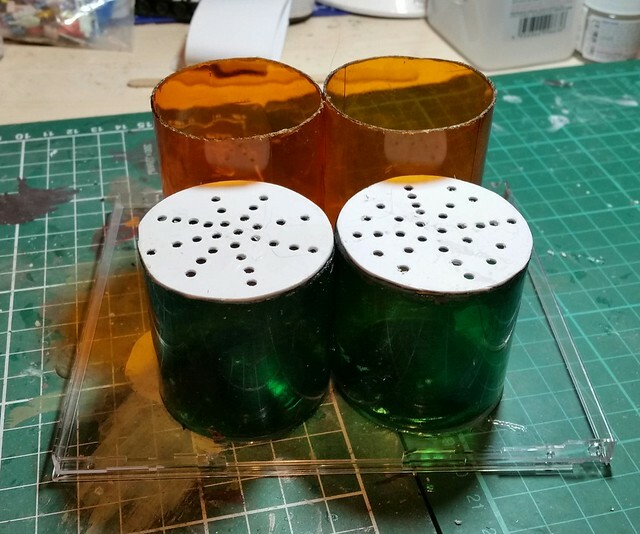 This can be used to a modellers advantage, pill packets, for instance, if opened carefully can provide some nicely pre molded shapes for lumps and bumps that can be used for extra detail, the clear plastic ones are especially useful for astrodomes, turrets, headlights and the like. However what I want to do here is to suggest some uses for pill pots. The ones illustrated are from Holland and Barratt in the UK and feature a pop up lid for quick access. In themselves they are useful for storing stuff, drill some holes in the lid and you have a makeshift shaker for diarama materials. 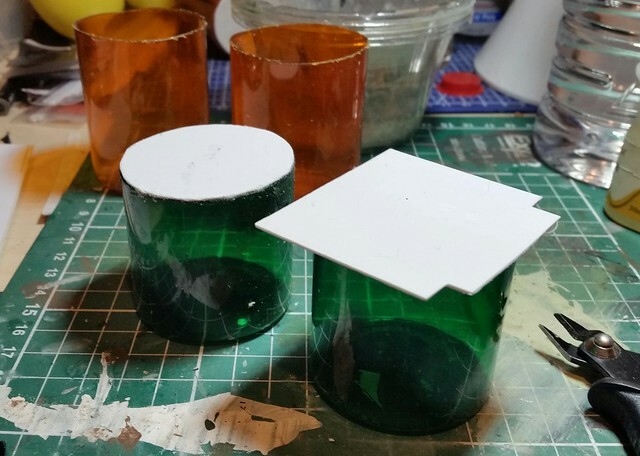 I am first going to use the neck and lid of the bottle to create a double ended small parts container. First. Taking your knife/razor saw/hacksaw/hobby drill with cutting disk/teeth in one hand, cut off the neck of the bottle where it joins the main body. I used a cutting disk as my attempts with razor saw were not very successful. Next. Tidy up the cut with a sharp knife then, mark out and cut a disk of plastic using the removed neck as a template. I’ve used an old credit card here but the choice of plastic is yours. Then. Using a glue of your choice stick the removed necks to the plastic disk and let it dry for twenty four hours before using. 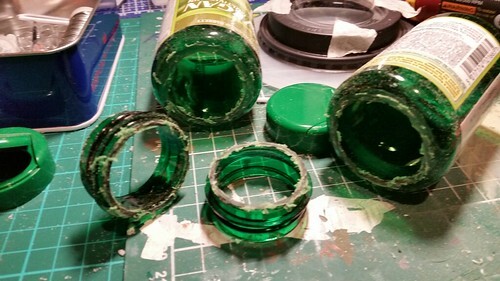 I tend to use two part epoxy, but gel superglue also works. This is not an original idea I have seen similar on YouTube. If you want more capacity use the neck of a four pint milk carton, it will not have the pop top but it will hold a lot more. A natty little storage container. There will be more, if you have any ideas of your own please feel free to post. 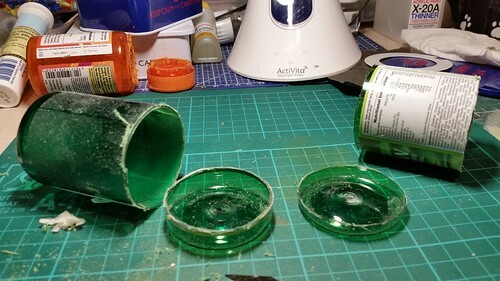 Modellers always need trays for bits, glue, paint etc so take your approved cutter and slice the base off the pill pot. Depth is to taste, depends what you want it for. 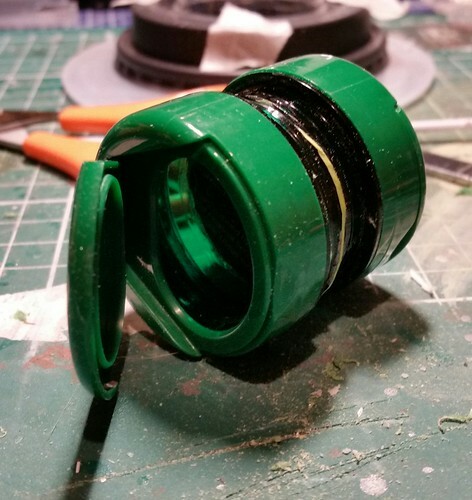 If you then cut the remaining curved top off the pill pot this leaves you with a plastic cylinder approximately two inches/50mm in diameter. Next use for old pill pots. 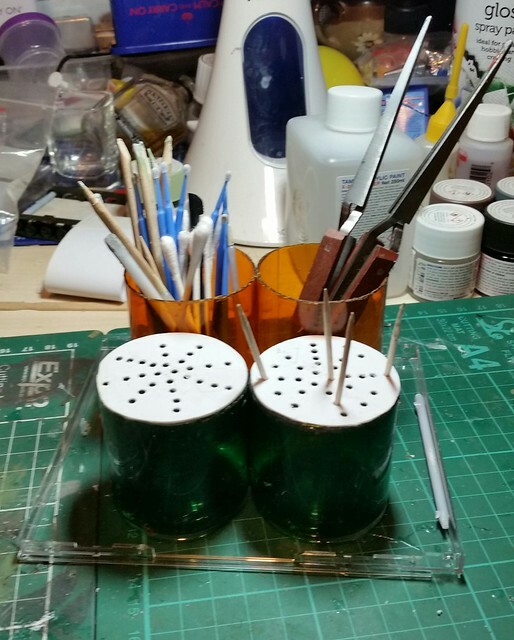 A stand for holding sticks and tweezers that are holding painted parts. I’ve done mine to two different heights, the reason for which will be explained later. You could use the remaining tube from the last project if you like but it might not be high enough. I found the easiest way to remove the labels was to strip as much of the outer label as possible, liberally dowse the remainder with white spirit then leave it to one side for at least fifteen minutes. This allows the white spirit to work on the adhesive, making it easier to peel off. Any type of plastic will do, I’ve used standard plasticard. I would recommend you use two-part or similar adhesive for this and later steps. 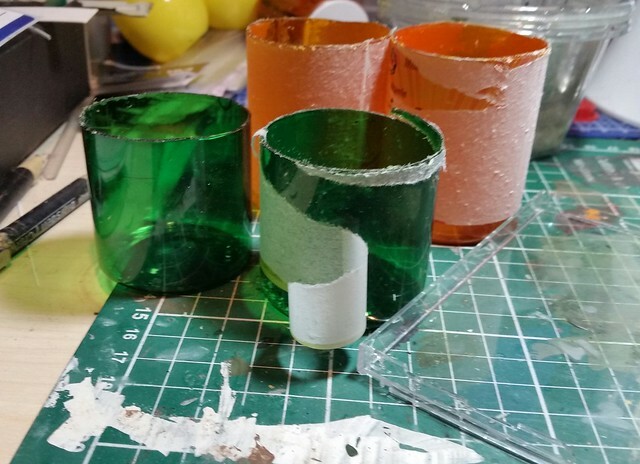 I originally used superglue gel but the joint failed on both pots when I drilled the holes. Finally...... assemble the components on a base of your choice and let it dry. 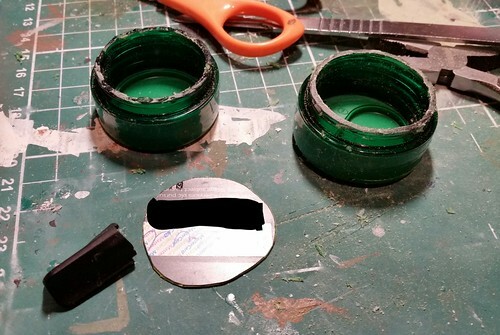 I’ve used the back of a CD case and retained the edges, so not only does it provide a stable base but also doubles as a bits tray. Hope you found this useful, thanks for looking. Your inventiveness is to be commended, Mog! Great stuff and much food for thought. 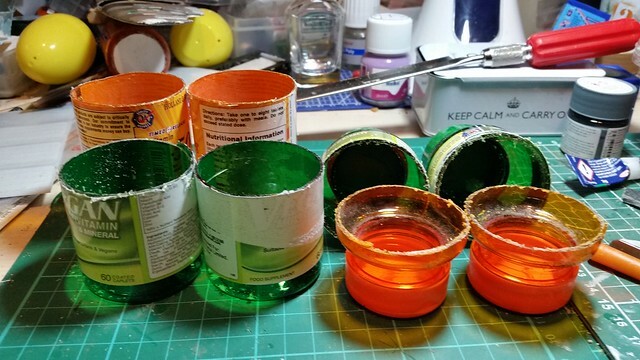 Great ideas on using old pill bottles. They can also be incorporated into sci fi models. Get outta my head, ed! 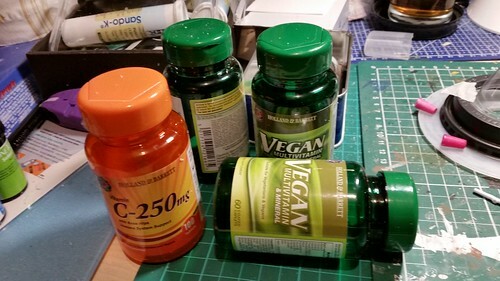 I've been thinking that about these empty vitamin bottles. Might make nice space ship engines. Someday. @ed s - WD40 works very well for removing labels. Soap and water usually clean up the oil residue without much effort. Also I have used lighter fluid. That's my favorite lighter fluid Mr Gimper. My Zippo hates to be filled with anything less. Another thing that works removing labels and their glue is charcoal starter fluid. 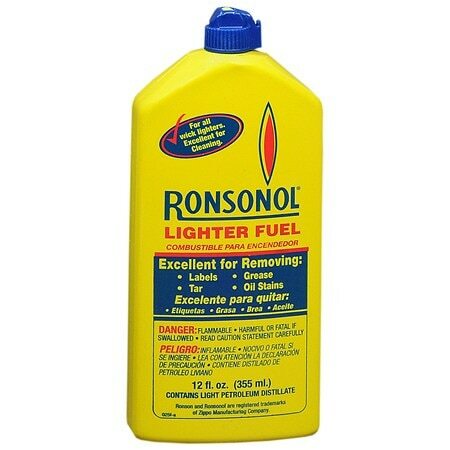 I started using that since I don't BBQ much and I want to save my lighter fluid for, well, lighters. Ok, and what do you with the cast off tops ? Great examples here. Plants seed for similar yet different ideas.